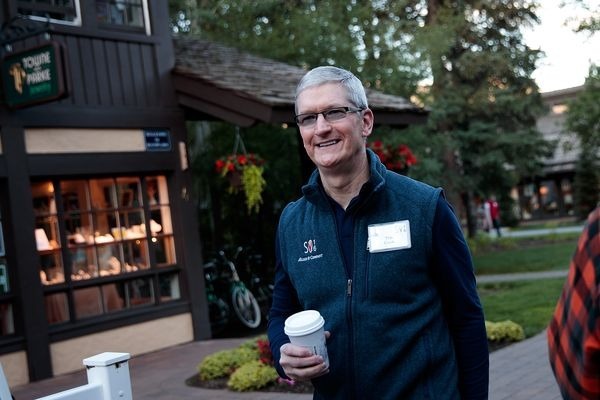 After being hit with a $14.5 billion tab for alleged unpaid back taxes, Apple Chief Executive Tim Cook published an open letter to the "Apple Community" on Tuesday, saying he is "confident" that the decision from the European Commission will be reversed. The customer letter published on Apple's site, titled "A Message to the Apple Community in Europe," begins with a history of the company's operations in Europe, when late company cofounder Steve Jobs established a factory in Cork, Ireland, in 1980 with 60 employees. Today, Apple employs nearly 6,000 people in Ireland, most of them in Cork. Cook said his company's operations there are vast and play a crucial role in its global presence. Because of this, Apple is the largest taxpayer in Ireland, Cook said. The Mac maker is also the largest taxpayer in the United States, and across the world. Though Cook and Apple officials believe they have paid their fair share of taxes, the European Commission slapped the company on Tuesday with $14.5 billion in back taxes. Both Apple and Ireland have appealed the ruling, and Cook believes the Commission's decision was unfair and will be overturned. 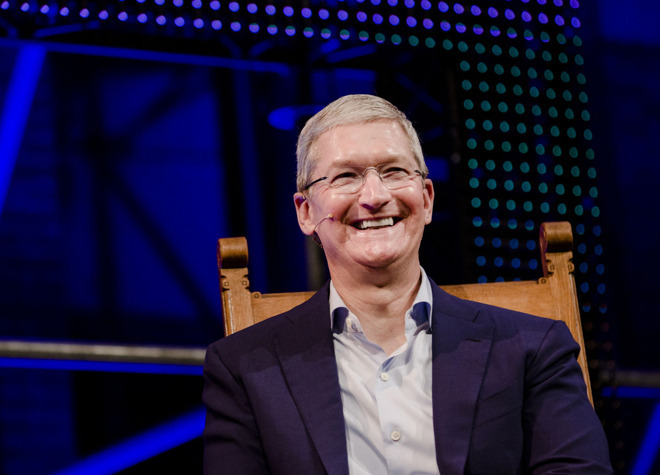 "The European Commission has launched an effort to rewrite Apple's history in Europe, ignore Ireland's tax laws and upend the international tax system in the process," Cook wrote. "The opinion issued on August 30th alleges that Ireland gave Apple a special deal on our taxes. This claim has no basis in fact or in law. We never asked for, nor did we receive, any special deals. "We now find ourselves in the unusual position of being ordered to retroactively pay additional taxes to a government that says we don't owe them any more than we've already paid." Calling the move "unprecedented," Cook portrayed the Commission's decision as potentially dangerous, with "serious, wide-reaching implications." He argued that a company's profits should be taxed "in the country where value is created" —a principle he said Ireland, the U.S. and Apple all agree on. "In Apple's case, nearly all of our research and development takes place in California, so the vast majority of our profits are taxed in the United States," he wrote. "European companies doing business in the U.S. are taxed according to the same principle. But the Commission is now calling to retroactively change those rules." Tuesday's decision from the European Commission was years in the making, with the investigation into Apple's back taxes originally opened in 2013. Earlier reports had pegged the fine much lower than the ultimate $14.5 billion ruling. Apple officials have signaled the company is committed to Ireland, regardless of how the European Union would rule on taxes. Thirty-six years ago, long before introducing iPhone, iPod or even the Mac, Steve Jobs established Apple's first operations in Europe. At the time, the company knew that in order to serve customers in Europe, it would need a base there. So, in October 1980, Apple opened a factory in Cork, Ireland with 60 employees. At the time, Cork was suffering from high unemployment and extremely low economic investment. But Apple's leaders saw a community rich with talent, and one they believed could accommodate growth if the company was fortunate enough to succeed. We have operated continuously in Cork ever since, even through periods of uncertainty about our own business, and today we employ nearly 6,000 people across Ireland. The vast majority are still in Cork —including some of the very first employees —now performing a wide variety of functions as part of Apple's global footprint. Countless multinational companies followed Apple by investing in Cork, and today the local economy is stronger than ever. Steve Jobs visits Apple's new facility in Cork, October 1980. The success which has propelled Apple's growth in Cork comes from innovative products that delight our customers. It has helped create and sustain more than 1.5 million jobs across Europe —jobs at Apple, jobs for hundreds of thousands of creative app developers who thrive on the App Store, and jobs with manufacturers and other suppliers. Countless small and medium-size companies depend on Apple, and we are proud to support them. Over the years, we received guidance from Irish tax authorities on how to comply correctly with Irish tax law —the same kind of guidance available to any company doing business there. In Ireland and in every country where we operate, Apple follows the law and we pay all the taxes we owe. The European Commission has launched an effort to rewrite Apple's history in Europe, ignore Ireland's tax laws and upend the international tax system in the process. The opinion issued on August 30th alleges that Ireland gave Apple a special deal on our taxes. This claim has no basis in fact or in law. We never asked for, nor did we receive, any special deals. We now find ourselves in the unusual position of being ordered to retroactively pay additional taxes to a government that says we don't owe them any more than we've already paid. The Commission's move is unprecedented and it has serious, wide-reaching implications. It is effectively proposing to replace Irish tax laws with a view of what the Commission thinks the law should have been. This would strike a devastating blow to the sovereignty of EU member states over their own tax matters, and to the principle of certainty of law in Europe. Ireland has said they plan to appeal the Commission's ruling and Apple will do the same. We are confident that the Commission's order will be reversed. At its root, the Commission's case is not about how much Apple pays in taxes. It is about which government collects the money. Taxes for multinational companies are complex, yet a fundamental principle is recognized around the world: A company's profits should be taxed in the country where the value is created. Apple, Ireland and the United States all agree on this principle. In Apple's case, nearly all of our research and development takes place in California, so the vast majority of our profits are taxed in the United States. European companies doing business in the U.S. are taxed according to the same principle. But the Commission is now calling to retroactively change those rules. Beyond the obvious targeting of Apple, the most profound and harmful effect of this ruling will be on investment and job creation in Europe. Using the Commission's theory, every company in Ireland and across Europe is suddenly at risk of being subjected to taxes under laws that never existed. Apple has long supported international tax reform with the objectives of simplicity and clarity. We believe these changes should come about through the proper legislative process, in which proposals are discussed among the leaders and citizens of the affected countries. And as with any new laws, they should be applied going forward —not retroactively.